To promote its product range Exhibit Pack, which focuses on four football boots (X, PREDATOR, COPA, NEMEZIZ), adidas developed a global campaign No Fakers, Creators Only, which featured football stars such as Paulo Dybala, Lionel Messi and Mo Salah. To support the major campaign, the brand worked with Crowd to develop an online football competition to encourage user-generated content (UGC) from fans. Crowd worked with adidas to develop the competition rules, look and feel as well as the prize. The project included creating a microsite, using the micro experience platform Wyng, where fans could upload a video of themselves showing their best football skills for a chance to receive a pair of Exhibit Pack boots of their choice and a signed Real Madrid jersey. The compelling copy for the microsite was developed in both English and Arabic. 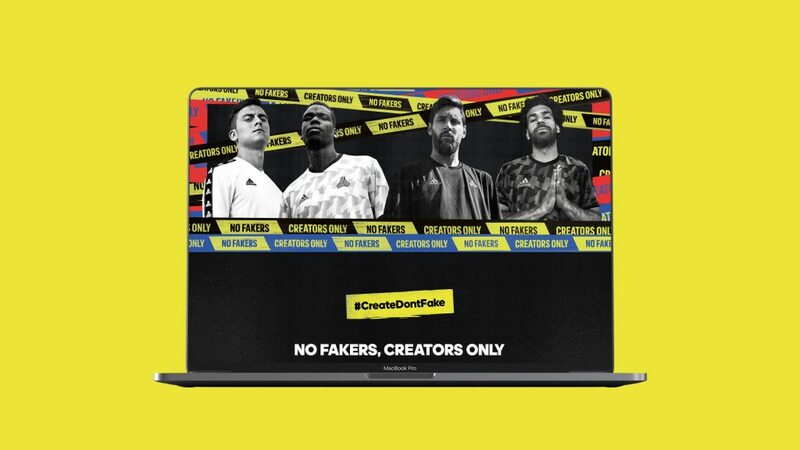 Once a video was uploaded, fans were encouraged to share their videos on social media using the #DareToCreate campaign hashtag. Viewers were able to vote on the microsite for the best football skills. Data fields such as name, email and mobile number ensured that adidas could reach out to fans in the future. Apart from developing the microsite, Crowd also created social media posts and curated video content as part of the one-month campaign. Together, adidas and Crowd delivered an engaging online competition that generated buzz about Exhibit Pack in the UAE and KSA.